We provide Blind solutions for Offices in Dublin and around the country. Please call our offices now for a free business consultation. At Samrod Blinds, we understand the importance of a comfortable working environment for improving working performance, motivation and productivity. 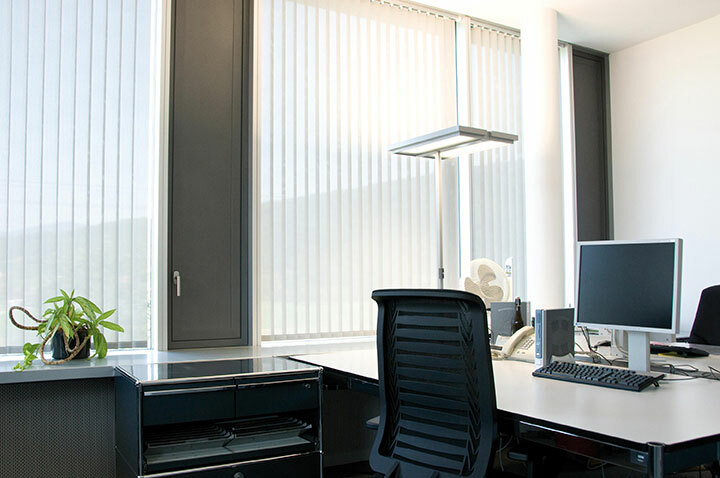 It is vital for you to guarantee perfect screening and glare protection from the start to finish of every working day and Samrod Blinds takes this into account. We ensure this is taken car of with the relevant exposure value of the materials we use in our blinds. Our products are high quality, durable and meet EU safety standards. When providing blinds and window solutions for our clients, we take into consideration issues such as versatility, heat regulation, noise reduction, adjustable brightness and automation. We pride ourselves in our workmanship and the relationship we build with our customers. Below are only a handful of testimonials that some of our recent clients have sent on to us. Thanks a million Michael for our new blinds. They look fantastic. We’re absolutely delighted with the service and the quick turnaround. Measured and fitted within a week. Had blinds fitted today by Michael, absolutely love them. Highly recommend Michael he was so lovely to deal with very efficient, great quality and great value for money. fitting was done so quick and no mess. Thanks again Michael . Had blinds fitted and cannot recommend Michael and the team enough! Delighted with my new blinds from SAMROD. Great service. Gary and Michael were very professional and a pleasure to deal with.